You control the payment. 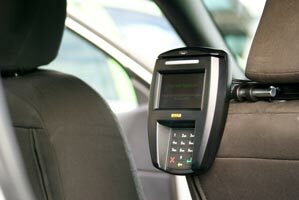 No handing money to the driver with our new backseat systems designed to offer convenience, reliability and security. Our customers love them! This real-time integrated payment and information system features a Passenger Information Monitor with a touch screen that allows passengers to review the fare, add a tip and pay by swiping a credit card through a reader or using "tap and go" contactless payment. It is the way to pay, Your card never leaves your hand!